In L'Equipe's annual salary report, the French news outlet revealed who the 10 best-paid footballers in Europe are going by monthly wage before tax. 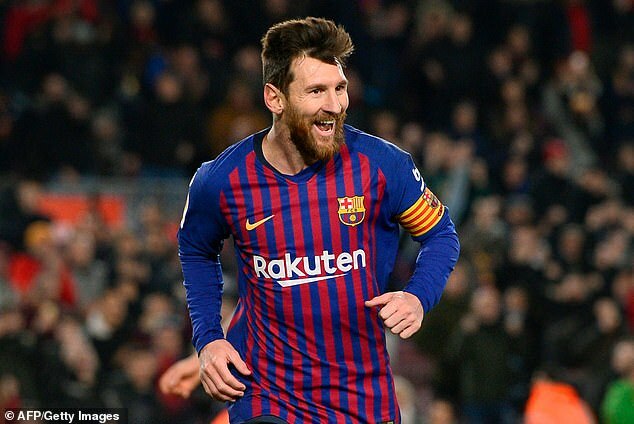 It's no secret that modern-day players are paid huge sums of money but the amount Messi receives on a monthly basis is extraordinary – even by footballers standards. Paris Saint-Germain's Neymar follows Griezmann with a reported monthly earnings of £2.7m (€3.06m) while Luis Suarez completes the top five with a monthly wage of £2.5m (€2.9m). Real Madrid's Gareth Bale (£2.2m), Philippe Coutinho (£2m), Alexis Sanchez (£2m), Kylian Mbappe (£1.5m) and Mesut Ozil (£1.4m) complete the list. Bayern Munich's Robert Lewandowski failed to break into the top 10 list with a reported monthly earning of £1.2m (€1.33m) in the Bundesliga. L'Equipe also released the top earners in Ligue 1, and unsurprisingly, the top five was dominated by PSG players. The French newspaper also reported that Mbappe's monthly wage increase by £160,000 (€180,000) between his first and second season at the Parisan club following his big-money switch from Monaco.